Note: The Community Visualization feature is in "Developer Preview". To learn more about upcoming features and improvements during this period visit the Developer Preview page. Use the Community Visualization Codelab to get started with Community Visualizations. The codelab provides a step by step guide to build a community visualization, and can be completed in about 30 minutes. 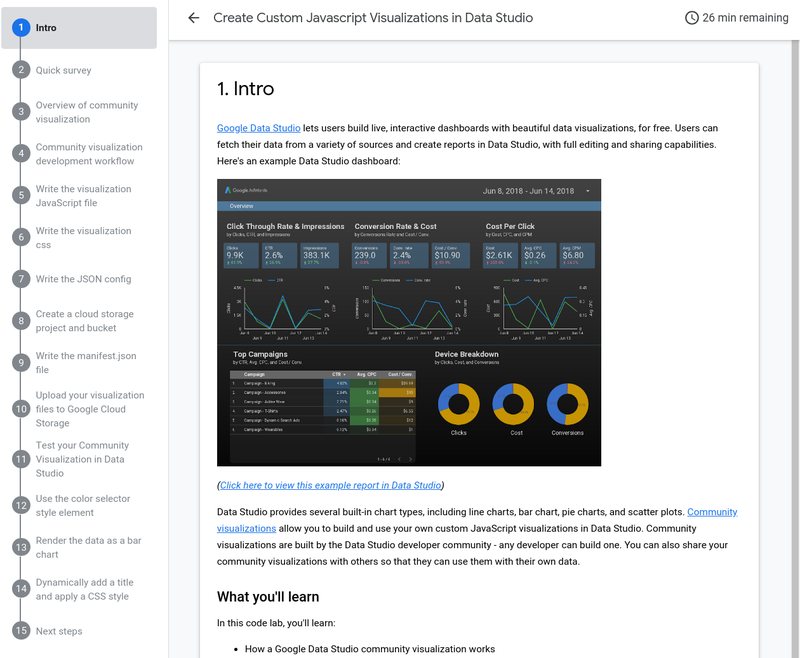 Join the Data Studio Developer Community to stay up-to-date with developer feature announcements. Send us your feedback on community visualizations. Share your visualization on GitHub or the showcase.